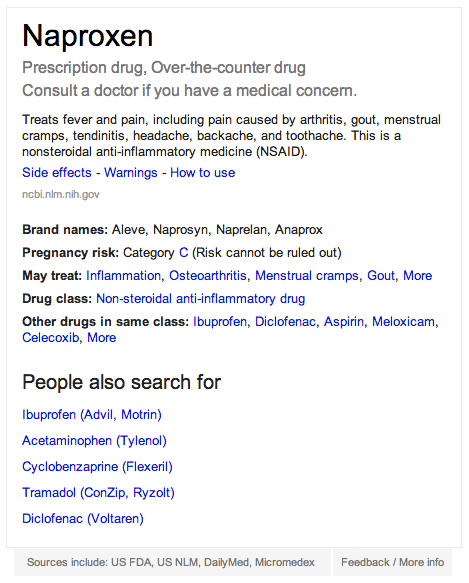 Google's Knowledge Graph got a bit smarter and now gives you a break down of medications. So when the doctor prescribes you sleeping pills for your 12 hour flight, you can see what is really in those pills (that is if doctors prescribe stuff like that). Google says the data comes from U.S. FDA, the National Library of Medicine, and the Department of Veterans Affairs and other sources. Of course, this has SEOs and webmaster skeptical if Google will get into the online drug business or more.